Stress, or burnout, gives rise to a cluster of physical, emotional and mental exhaustion reactions. It is the result of constant and repeated emotional upheaval associated with people at home and in the workplace. Workplace stress is created by an environment with too many pressures and not enough support. People who burn out develop negative self-concepts and job attitudes, while becoming detached, apathetic, angry or hostile. Burnout is a major problem in the helping occupations, where people give a lot to others but fail to take care of themselves in the process. Professionals in medicine, social work, law enforcement and education are especially prone to burnout symptoms. Of course, burnout can also affect people in other types of careers as well. Jobs that promote burnout include ones in which workers do repetitive or routine tasks, never get much feedback or have a lot of responsibility but very little control. Employees who are suffering from burnout feel they are answerable for everything that happens. They feel they receive very little cooperation from co-workers, and they personally feel powerless to change things. These feelings tend to make them assume a martyr-like position, become resigned and apathetic, and focus on the worst aspects of the job. Persons suffering from burnout often blame others or the situation, rather than taking action for change. How does burnout happen? It can begin when a person who has difficulty setting priorities and putting life into balance is confronted with a stressful home or work environment. 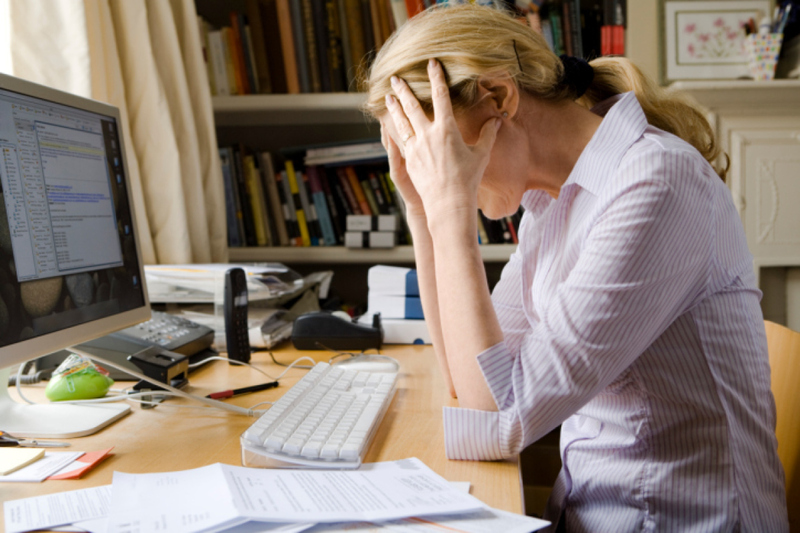 Many people learn to deal with job-related stress. Those who burn out don’t. Often, the types of people who burn out are those who show the most promise at the beginning of their careers. They are perfectionists, idealists and workaholics. They start out enthusiastic about their work, dedicated and committed to doing their jobs. They typically have high energy levels, positive attitudes and are high achievers. Over time, stress and the inability to cope with it lead to pessimism and early job dissatisfaction. Workers in the early stages of burnout feel fatigued, frustrated, disillusioned and bored. As burnout progresses, work habits begin to deteriorate. Affected workers arrive late and leave early. Productivity drops. They become isolated and withdrawn and avoid contact with co-workers and supervisors. They become increasingly angry, hostile and depressed. In the final stages of burnout, workers experience an irreversible feeling of detachment and a total loss of interest in their jobs. Self-esteem is very low. Feelings about work are totally negative and chronic absenteeism becomes a problem. Burnout doesn’t happen overnight, and it can be reversed with the right steps.